Chicken wings on their own taste delicious. Adding dipping sauces takes them to another level of culinary excellence. We love sitting down with a plate of wings and a dish of dipping sauce, which allows us to control how much we add to our chicken. We have to admit — it's a lot. 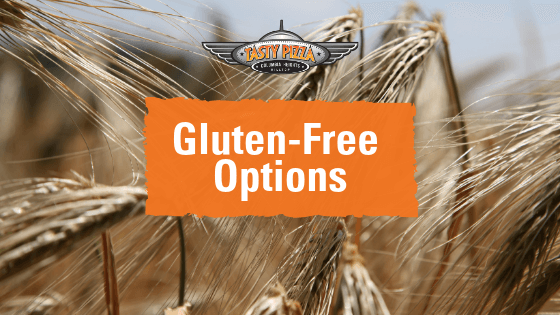 Every wing connoisseur is faced with a difficult question, though. What type of wing sauce is the best? We couldn't come up with just one answer, so we chose five. 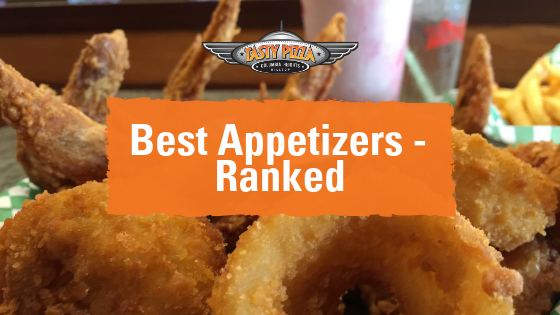 You can also enjoy these sauces with french fries, cheese curds, onion rings and more. Use your imagination! Barbeque sauce offers a classic way to coat your chicken wings. Not too hot but with enough bite to satisfy fans of spicy foods, our barbecue sauce provides an awesome accompaniment to your chicken wings. You can also mop up the extra sauce with pizza crust. Not many people have tried this creative combination, but we can't get enough. Barbecue has a strong flavor, so it melds well with just about any other food. Heck, we'd even eat it on salad. Buffalo sauce takes the spicy meter up a notch. This sauce could almost melt in your mouth, it's so flavorful. You can taste the butteriness as well as the heat from the hot sauce. Chicken makes a magnificent base for Buffalo sauce. We recommend sopping up the extra sauce with some garlic bread, because garlic and buffalo also make an unexpectedly good medley. The cooling, herby texture of ranch can take some of the heat out of your chicken wings. You may want to dip every single bite into this sauce. It's hard to stop dipping it once you start. Ranch has a buttermilk base that feels soothing opposite the chicken's stronger flavor. The pungent flavor of blue cheese provides an ideal contrast to the meatiness of your chicken wing. Little chunks of cheese combine with the chicken meat for a savory treat you won't soon forget. You can dip carrots and celery in blue cheese to complement your wings. The fresh taste will make your mouth very happy. We also recommend adding a little blue cheese to Buffalo sauce so you can experience both together. 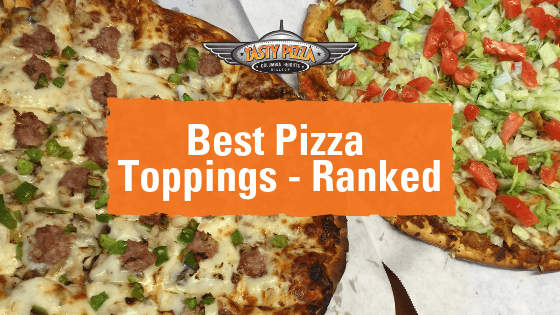 Sweet-and-spicy combinations are one of our favorites at Tasty Pizza. We adore the tangy zip of honey mustard. It brings out the crispiness of the chicken, too. You will love every morsel dipped in this smooth, mouth-pleasing sauce. 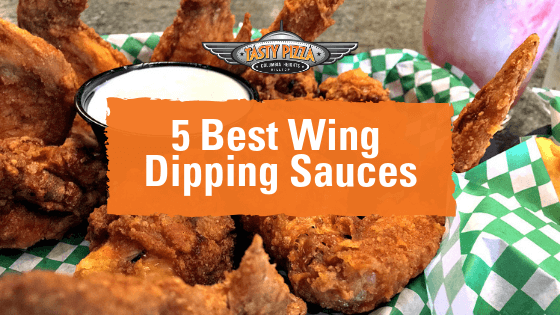 If you want to decide for yourself what is the best, you can enjoy all five of these homemade wing sauces at Tasty Pizza. We bread our whole jumbo wings and pop them in the fryer, which seals in their juices and keeps the oil out. Our broasting method really brings out the rich taste of the wings when accompanied by our amazing sauces. 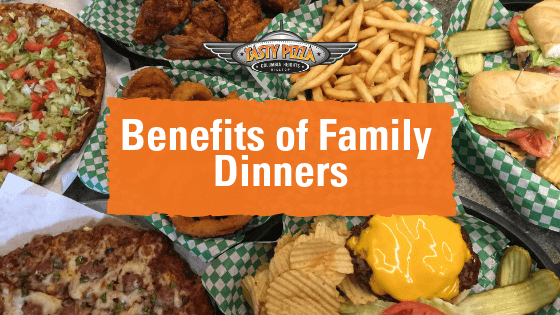 Dig into some today by ordering online and choosing your favorite sauce, whether as appetizers or dinner.